I overheard a conversation one day at a friend’s house. One of my friends was stating their opinion on farmer’s markets and what a crock they all are. Another friend agreed and stated that you would have to be a nincompoop to believe that they were otherwise. Well I believe myself to be of sound mind, discerning and educated, so I was a little offended, as I believe that farmer’s markets are more than a ‘feel good’ way to shop. When the Lane Cove Food and Farmers’ Market popped up in my local area, I was determined to go along and check it out at close range. 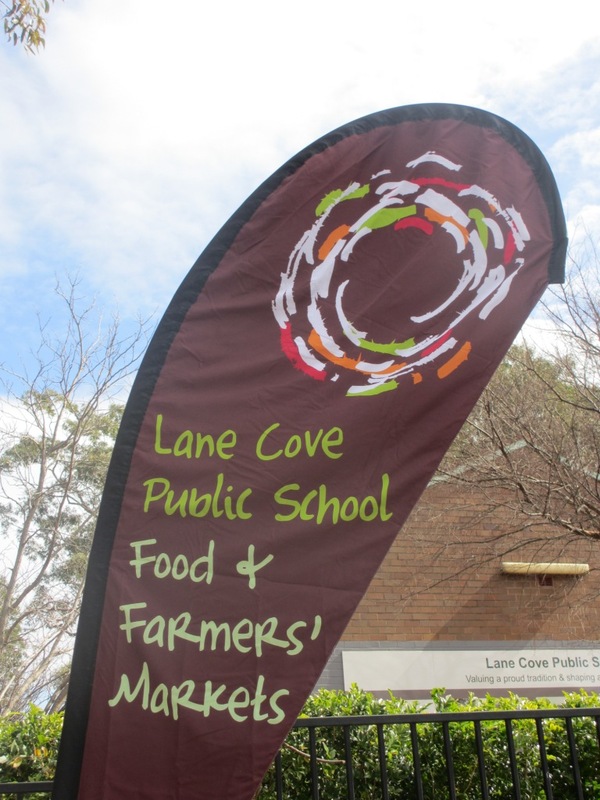 These markets are held in Lane Cove Public School where my husband went to school and perhaps where my son will go. So a few weeks ago on a windy and cold day we went along. 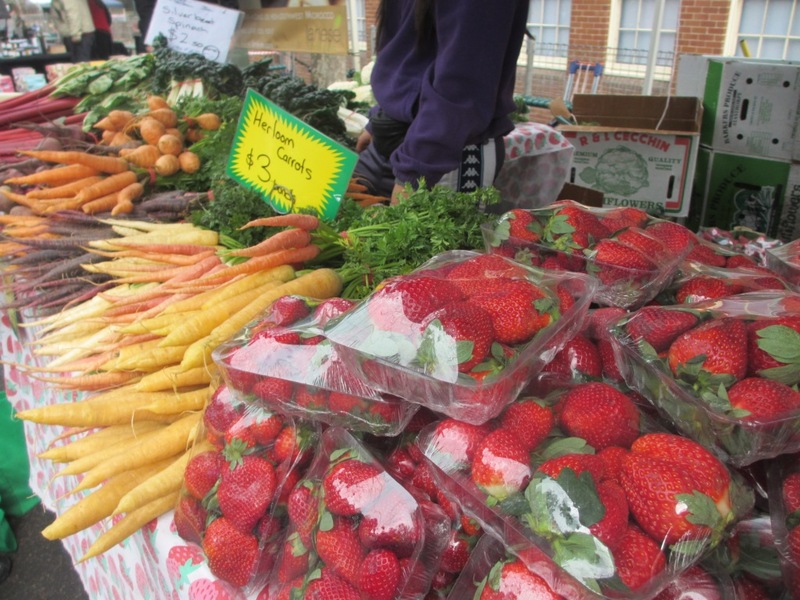 The first thing I noted, was that these markets are quite small, but I liked that they were at the school because my kids were not going to love food shopping. Instead they played on the play equipment while I went to investigate the vendors! The results of my investigation and I have to say it was cursory to a degree, as I did not talk to every single vendor – was that in most cases, the sellers were not the actual farmers, though they weren’t too far removed from the food chain, so to speak and excuse the pun. 1. The strawberries I bought came from the actual farming family. I asked if they were grown organically and they honestly said ‘no’. But the farm is at Badgerys Creek, about an hour from the school – so not a very large carbon footprint related to its transport. 2. 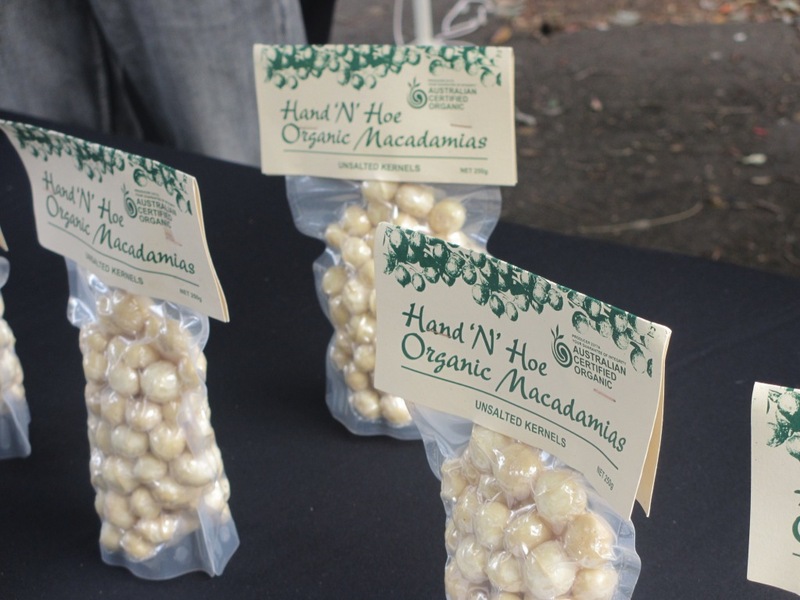 I bought Organic Macadamia Nuts from the nephew of the farmer who is studying in Sydney and sells on behalf of his uncle. They are grown in a small town in NSW. Apparently his uncle delivers to Sydney every 2 weeks and the nephew does the markets rounds on the weekends. I’ve also been enjoying these macadamia nuts on some yoghurt added to my fruit salad which has included my market bought strawberries! 3. I bought organic fresh pasta (Emilia Pasta http://www.emilia.com.au/ which was So delicious I might add – soft, light and filling) from the sales rep I would say of a small boutique company. 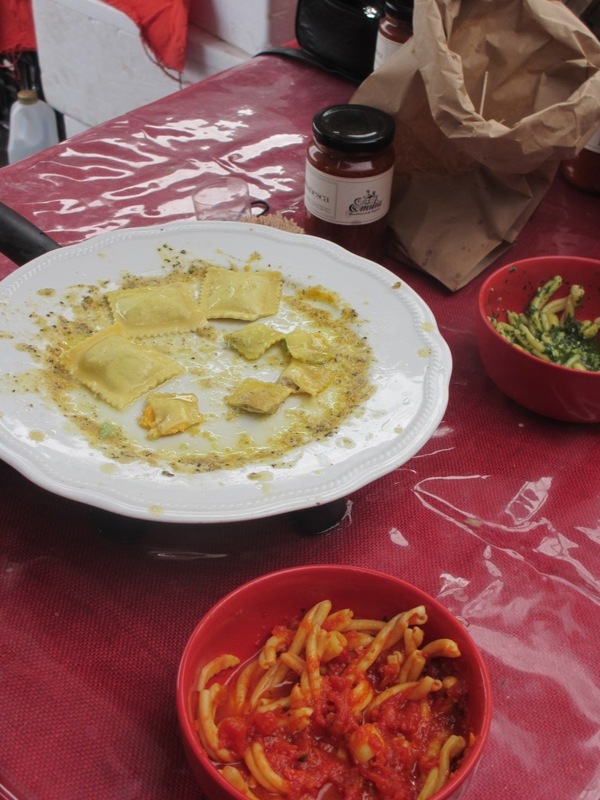 When I spoke to him he was very interested in sustainability and says that as much as they can they are trying to source locally, but the pasta requires a specific type of flour not found in Australia, so that part comes from Italy and some of the truffle oil that they use in the rest of their sauces. 4. I bought Soy and Quinoa bread which I later found out is sold at Thomas Dux and probably other retailers, so I can’t say that was super local, though the seller told me she picked them up from the baker that morning – therefore trying to set my mind at ease. The bread was lovely though. 5. I also bought some avocadoes which were perfect. I don’t know if the seller was the farmer or not because by then the kids were getting restless and I had to leave. Having looked through the markets though, I found it to be a mix of farmers/growers, small businesses, or sellers that have directly sourced from the farm. I did also however (and I have to say I was a little disappointed) find local businesses that had taken up a stall and were selling. I agree with my friends that there is a ‘feel good’ factor from going to growers and farmers’ markets. In a world where everything is so clinical and people only shop in mega supermarkets, having the opportunity to go and talk, feel, taste and prod makes going to these markets a unique experience. It creates a sense of community which is so important nowadays. Also, most of the sellers are small businesses, meaning it’s great to go along and support them. Price wise, I didn’t find the produce so hideously priced, but it’s important to talk to the sellers to make sure you’re not paying more for something that is sold in the local shop cheaper. Therefore I am not so cynical – I enjoyed my day at the markets and will probably return, but I will probably buy mostly select items (I am keen to try the apples – that seller definitely seemed like he was the farmer! ), rather than do all my food shopping there. I’m keen to try a few more markets (organic food markets) in my local area, which I will also post about. I’d love to hear other stories from people that shop at Food and Farmers’ Markets or even better, from people that may sell at them. ~ by em0navari on August 21, 2012. This entry was posted on August 21, 2012 at 9:37 am and is filed under Eating, Life Stuff.You can follow any responses to this entry through the RSS 2.0 feed.You can leave a response, or trackback from your own site. Previous: Back to where it all started! Next: Is the carbon tax making me use less energy?